PC Computer and monitor required. :Computer & Monitor shown in pictures are NOT included with scanner. For the highest quality scans of all your documents using professional CCD cameras. Colortrac continues to innovate with yet another "clean sheet" design that utilizes the latest of technologies. Colortrac SmartLF SG Experience an all new scanner with the same charge-coupled device (CCD) sensor technology used in professional quality cameras. Choose the highest quality scans for all your document types, and get it right the first time. 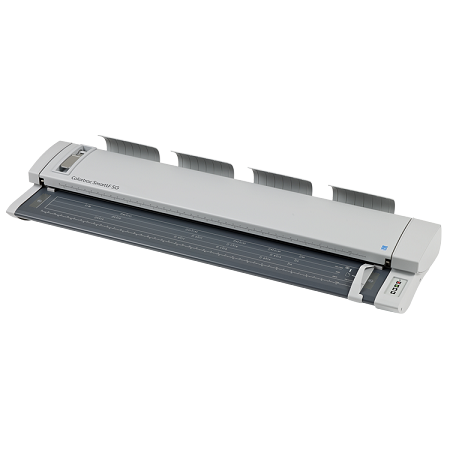 Produce superior quality images and copies of documents up to 36 or even 44 inch wide (requires upgrade). 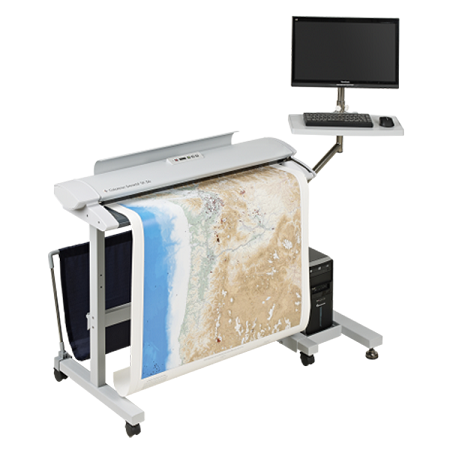 Scan all types of paper and mounted documents. Super-easy adjustment for different media thicknesses up to 15 mm - 0.59 inches. 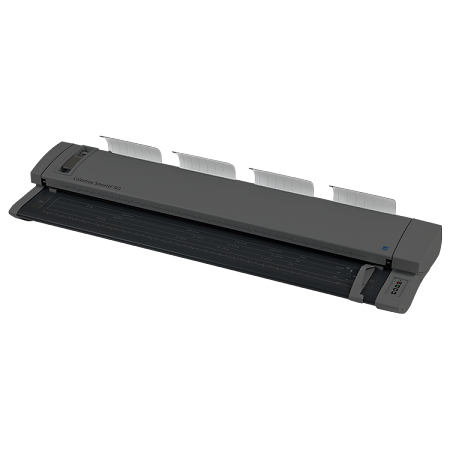 The innovative bi-directional LED lighting system provides superior illumination of difficult documents and the instant-on capabilities allow for higher productivity, with no warm up or waiting required. LED lighting has low energy requirements, a longer life and reduced environmental impact. 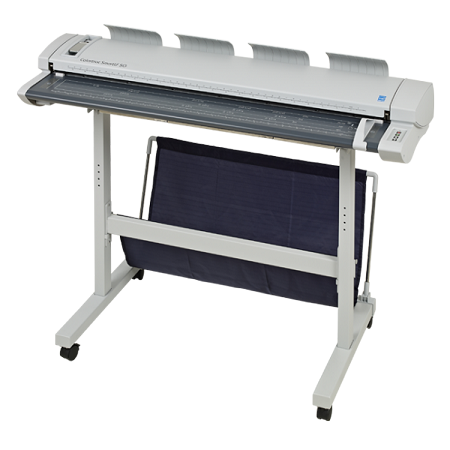 For superior imaging and the lowest "Total Cost of Ownership" Colortrac's SG 44 scanners are unsurpassed!